We all knew this day would come: the fight between sites wanting to force ads upon their visitors is escalating to absurd proportions. For a long time, adblockers were a tool used only by a few geeks, and although inconvenient it was "tolerated" by most sites (though in some countries some publishers tried to make it illegal to block ads - fortunately without any success). But now, thanks the growing mobile usage, where saving a few megabytes on each and every page with ads becomes quite an attractive proposition, not to mention the growing concerns over the abuse of visitor tracking, together with the fact that iOS made it even easier to install an adblocker - makes it a completely different threat. For some sites, it made them implement absurd adblocker blockers - stopping you from accessing the page should you be using an adblocker. 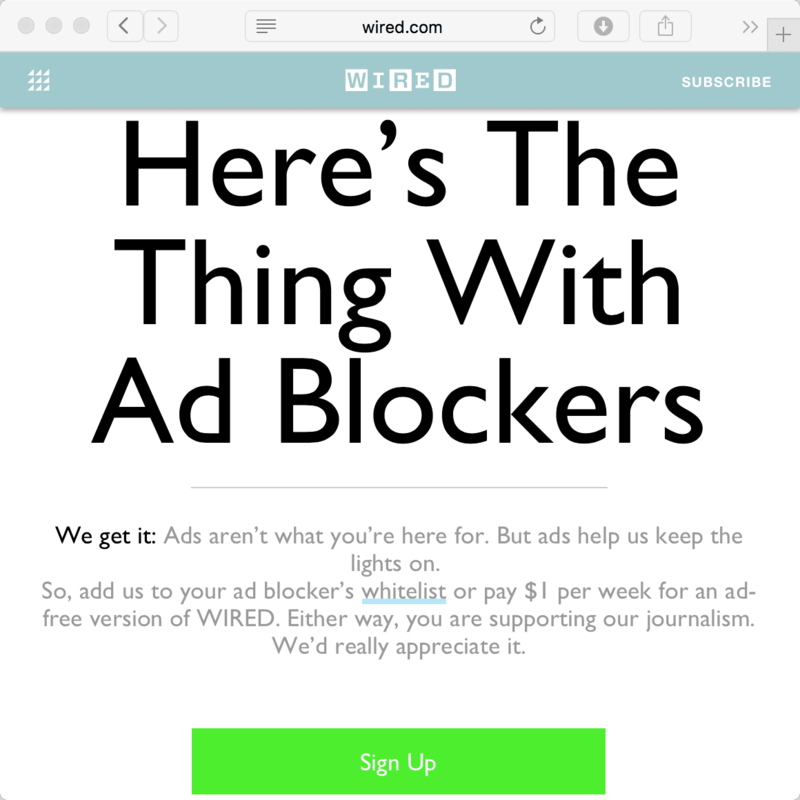 And logically, the adblocker side responded in kind, blocking their adblocker blocker. We all know this will hardly be the end of it, but publishers should keep in mind there's no way they'll ever win this war using such tactics... Not to mention there are already some people claiming that adblocker blocking may be illegal as it requires sites to gather information about the visitors that they might not have authorization to. Well, there's an even simples chance: should you feel a site doesn't even deserve enduring the ads it shows you, and it prevents you from doing so with an adblocker enabled, just find another site.